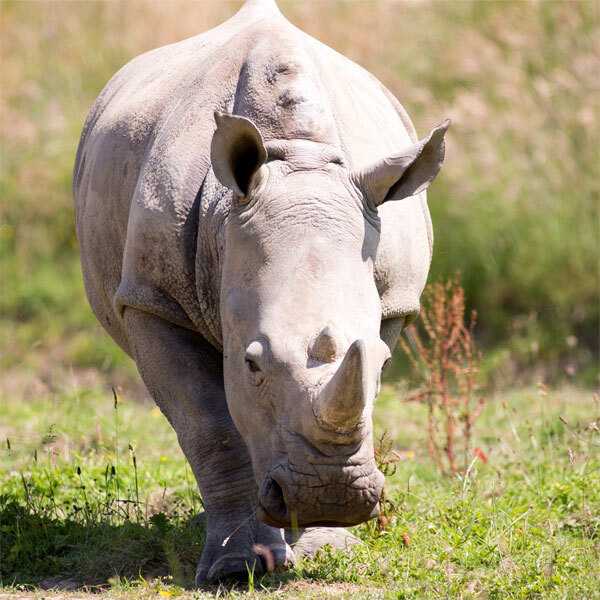 The largest and most numerous species of two-horned African rhinoceros. Has a broad, straight mouth and the widest set nostrils of any land based animal. Is the most social of all rhino species.